France is a picturesque country with a lot of sites to see, and a lot of history as well. You could spend a year there visiting all the different cities and taking in the country sides, and still not even scratch the surface of all there is to do there. Not to mention most of us can’t afford to quit work and travel all year round. 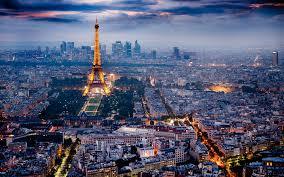 However, if planned appropriately, you can afford a week or two away to enjoy all that is the French culture. Allow me to explain some nifty tips and tricks that will allow you to partake in some of the world’s finest cuisines and wines. First and foremost, the time of the year you travel has everything to do with the cost. Summer is the most expensive time to travel, mainly because of school breaks. Families and college students alike take this opportunity to hit the road. However, if you want to buck the trend save some money, then fall is the ideal time to get away. Everything from airfare to finding a cheap hotel in France is much easier between the months of September through November. Sure you can find some good prices during December and January as well, but the earlier months will net you some savings and still offer the nicer weather. Staying at four and five star resorts can be a great experience, but it is usually an expensive one as well. Look into other less expensive options like a quaint bed and breakfast or even renting out an apartment from someone local. A cozy bed and breakfast in France with a fireplace and some home cooking sounds excellent right about now. Not only does this option tend to cost less but it also can give you a more intimate feel of the people and culture that you wouldn’t otherwise experience at a chain hotel. Planned excursions are nice because you can see a lot of sites within a short period of time, and you typically have someone knowledgeable to show you around and answer your many questions. But they are also very expensive, especially if you are paying for your entire family. A less expensive option is to purchase a local guide of the sites, like Frommers, that you can use to create your own excursion. They have helpful guides of the most popular sites and things to-do, and they are usually accompanied by some background and history as well.